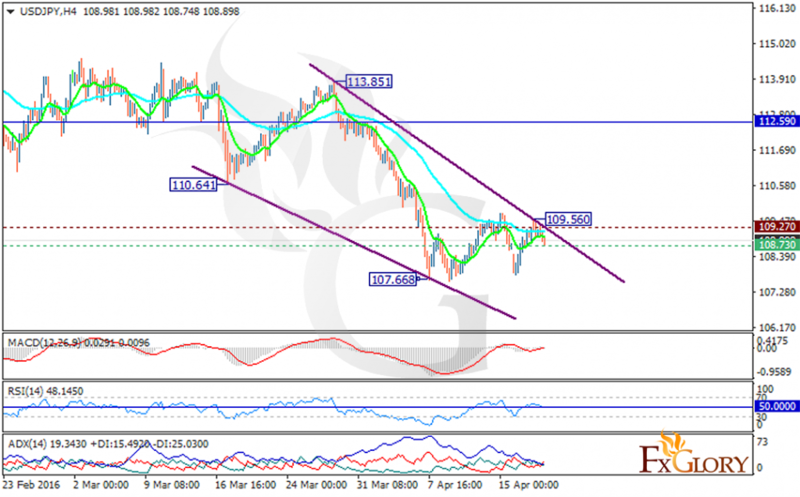 USDJPY is under the influence of different economic news factors such as Crude Oil Inventories, Existing Home Sales and the Building Permits therefore the pair would act more volatile. According to the chart, the price is finding support at 108.73 with resistance at 109.270 which both of them are below the monthly pivot point at 112.590. The EMA of 50 is above the EMA of 10. The MACD indicator is in neutral territory along with the RSI and ADX. The mentioned indicators are not showing any firm signal for traders at the moment but it seems that the pair is falling down the descendant channel market in the chart. Traders can wait for a better chart setting to open their positions however the support level breakthrough will smooth the way for 107.40.